I love baking. Baking, like soapmaking, allows for so much creativity that results in such a useful end product that is easily shared too. My friends and family and even my mail carrier love when I start experimenting with baking. 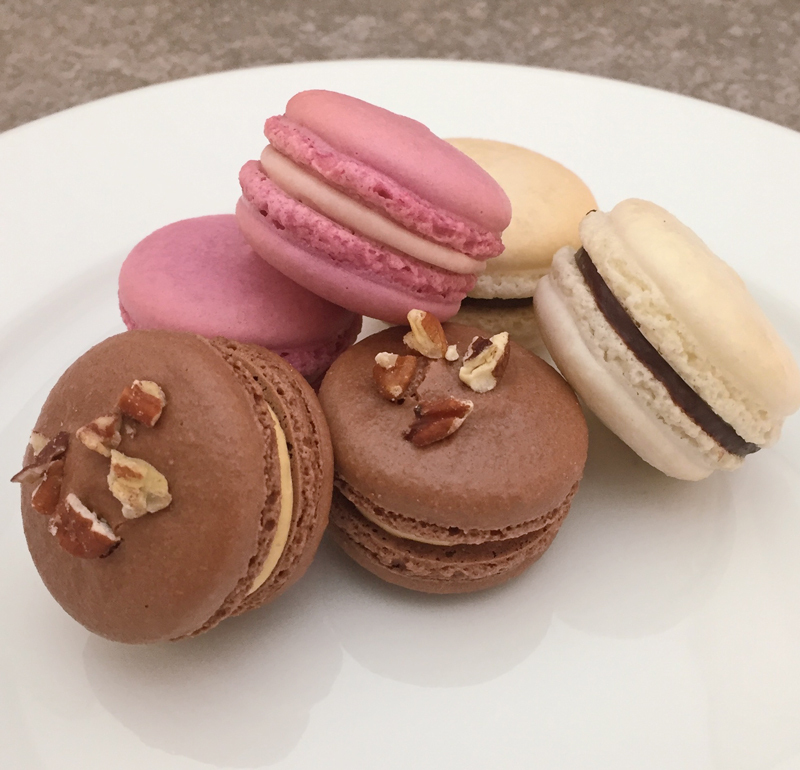 If you have never savored a French Macaron, I encourage you to give one a try. There is nothing really like it. The combination of crisp shell that reveals a soft cookie expertly combined with a luscious sweet filling just cannot be beat. I could eat these little creatures all day long. 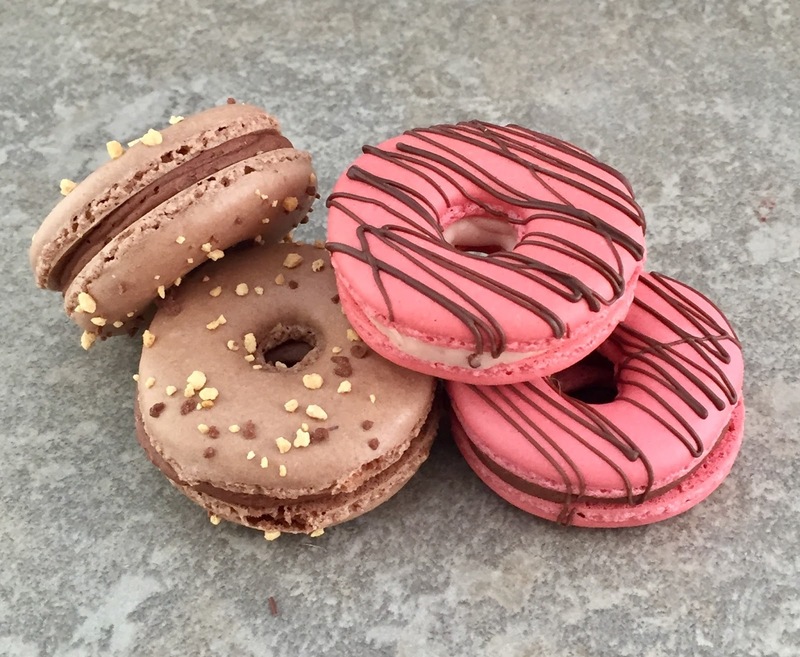 The flavor combinations are not only creative but endless - you can use jams, curds, buttercream, ganaches, caramel and any combination of these plus more. They can be basic round shapes or formed into other designs like food or animals. I have seen so many creative ideas that I want to recreate. BUT.... for a cookie with just a few basic ingredients that would seem like such a simple task - oh, not so. These are the most finicky cookies I have ever experienced making. If your egg whites aren't whipped just so, if your macaronage isn't folded just so and/or if your oven temperature/location of the baking tray in the oven isn't just so - then you will fail. 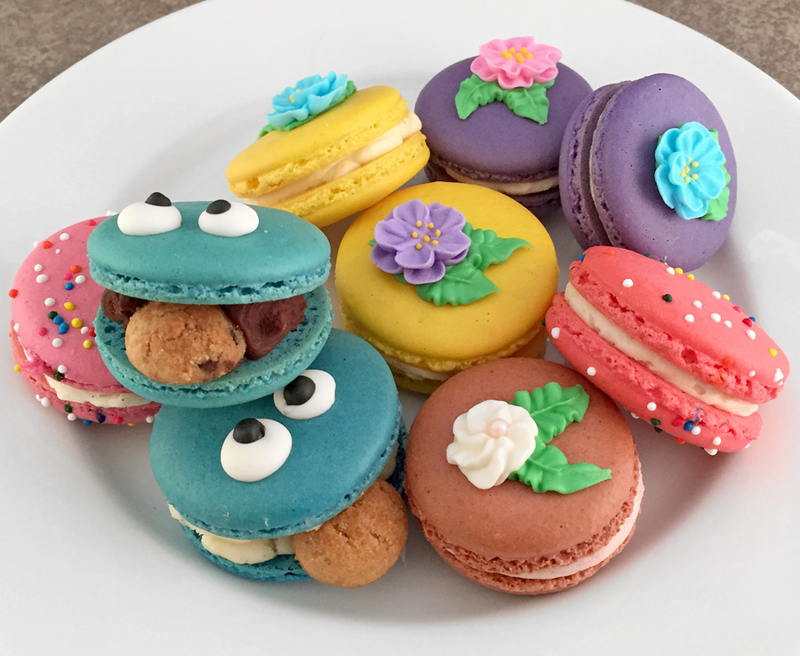 You will not have fluffy feet, you will have hollow shells, they will be lopsided, burned on top or on the bottom, they will have wrinkled tops.... the list of issues that one encounters with baking macarons is extensive AND frustrating. I have found that there are several variations of the basic shell recipe (egg whites, confectioners sugar, almond flour, granulated or castor sugar and optional lemon juice or cream of tarter to stabilize the egg whites) in which the ratios of liquid (egg whites) to dry ingredients are fairly consistent. For every gram of egg whites you will need 3 - 3.7 grams of dry ingredients and the makeup of those dry ingredients varies. However, there is no perfect or foolproof recipe. A recipe works for one in their kitchen does not work for another in their kitchen. There are too many factors that have nothing to do with the recipe that will determine or success or failure. 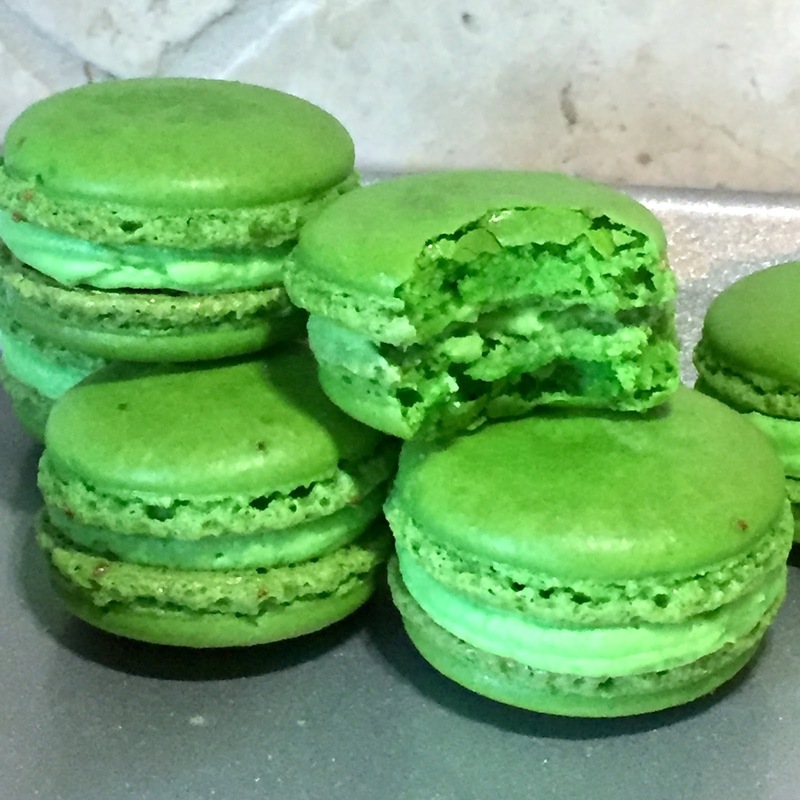 So, after about 50 attempts at making these little delicacies, I have finally figured it out and what works best in my kitchen. Here is a sampling of my successes! Enjoy!